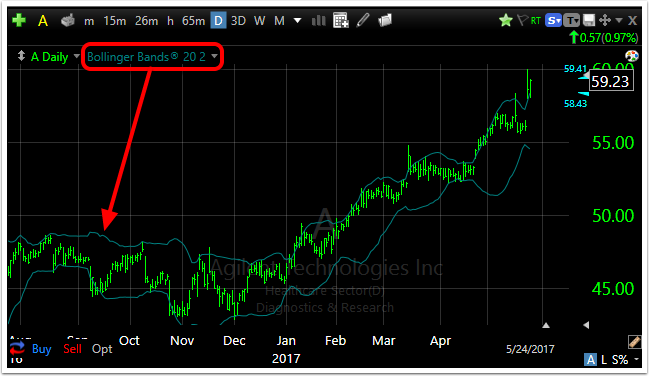 In TC2000 you can choose from over one hundred Technical and Fundamental indicators to plot in your chart template. 2. 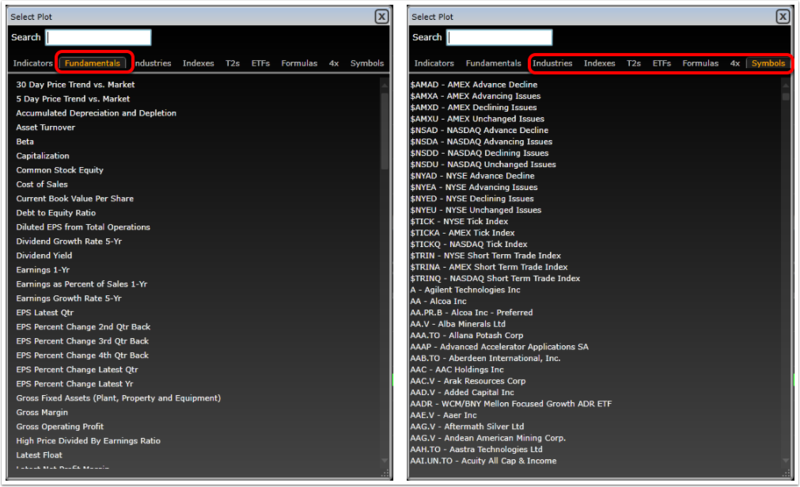 Select the technical indicator you would like to add from the list or type it into the search field. 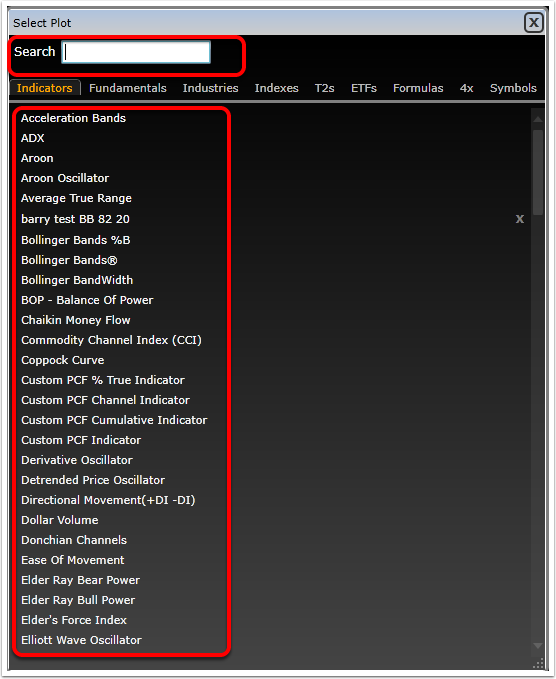 You can plot Fundamental indicators or additional equity symbols in the same way. Zoom: You can plot Fundamental indicators or additional equity symbols in the same way. 3. 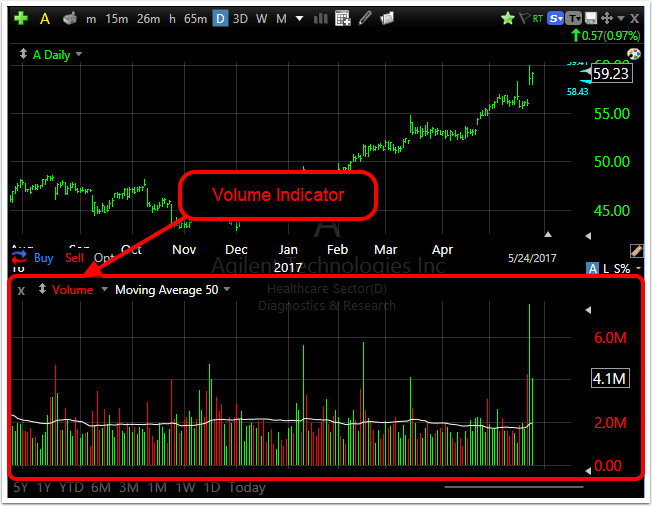 Most Indicators will be added to the bottom of your Chart Template. 4. Some Indicators are dependent on a parent data source, in this case you will be asked which data source to use. Click on the desired data source. 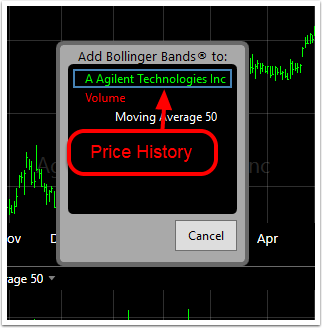 In this example we have used Bollinger Bands as the indicator and Price History as the data source. 5. The indicator is then plotted with the parent data source.